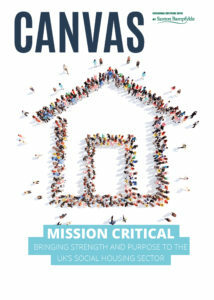 This year’s National Housing Federation conference had been rebranded as a “summit”. 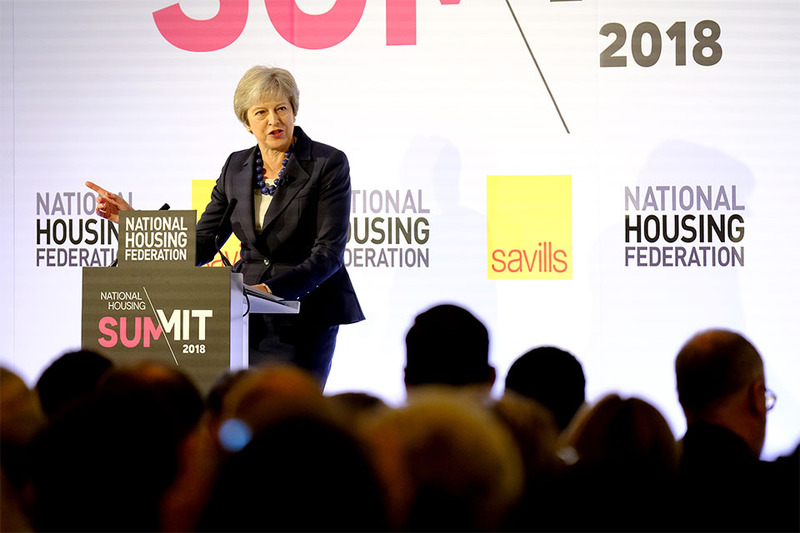 As the BBC’s Mark Easton – who Chaired the Summit’s first day – suggested, that word is rather over-used, yet this really did feel at points like a particularly important gathering of both established and emerging leaders in social housing. The surprise announcement that Theresa May would be the “cabinet minister” billed in the programme was an extraordinary way to kick things off, and whilst her announcement of new long-term investment in social housing was broadly welcomed, it was the positive endorsement of the sector that both her presence and her speech indicated, which helped establish the unusually upbeat tone of the summit. The passing of the NHF CEO baton from David Orr to Kate Henderson added further to that tone. David’s record as a leader was rightly celebrated but he remains someone more interested in looking ahead than reflecting on the past, and he added to the Prime Minister’s positive challenge to the sector, to stay focused and keep stretching itself. At Saxton Bampfylde, we were privileged to support the NHF with the search for its new CEO, and we have since reflected on how unusual it is to see an outgoing Chief Executive be so roundly applauded for their effective leadership of an organisation and – in this case – an entire sector. Kate’s speech on Day 2 was both assured and energising and one could see why the NHF board saw in her someone who make the role her own, and be a determined and visionary champion for NHF members, and for the sector. In the panel discussion that followed Kate’s address – with the RSA’s Matthew Taylor, ResPublica’s Phillip Blonde, Anne Power of LSE and Nick Walkley of Homes England – the potential for the housing sector to be bolder, more ambitious and to occupy the space taken by commercial house builders was strongly highlighted, along with the opportunity housing associations now have to deliver a “new reality” – not just in housing but in society more broadly. The sector’s ongoing commitment to improving diversity was another encouraging feature of the summit, and one of the most exciting takeaways came from the exposure given to the sector’s emerging leaders. With the Futures expo running alongside the summit, and the presentations from the NHF’s Futures programme given top billing, it was exciting to get a snapshot of the diverse teams, big ideas and capacity for innovation and investment this sector can galvanise for social good. For more information about Saxton Bampfylde’s Housing Practice and how we can help advise your organisations next leadership appointment or team development, please contact Hannah.Scarisbrick@saxbam.com.